You are invited to this photography exhibit hosted by The Guidance Center and held at the Brown and Juanita C. Ford Art Gallery at Wayne County Community College District’s Downriver Campus in Taylor. This event is co-chaired by Stephanie Prechter and Joe Gruber, showcasing the work of local photographers asked to submit a series of images related to the idea of resilience. This exhibit focuses on the importance of resilience as a way to navigate through life’s challenges. Our aim is to engage the community around this topic and encourage self awareness through creative expression. The event’s feature artist is MacKenzie McMahan ©. All proceeds from this community event will benefit a family education program at The Guidance Center focused on assisting families with resilience and recovery. Images of Resilience will run from May 1 – 31, 2019 and guests may visit any time during the gallery’s operating hours: Mon-Fri from 9 a.m. to 5 p.m. Guests may peruse the exhibit at any time during the college’s open hours in May and the photographic pieces will also be available for sale. Please join us for the Opening Reception for Images of Resilience on May 1 from 6 – 7:30 p.m. The evening will include a brief program with Guidance Center CEO Kari Walker and event co-chairs Stephanie Prechter and Joe Gruber. Peruse the artwork in the Brown & Juanita C. Ford Art Gallery while enjoying hors d’oeuvres and desserts. This reception is free of charge and open to the public. This month-long exhibit will also feature a special Storytelling Event on Wednesday, May 22, 2019 from 6-9 p.m. in the Heinz C. Prechter Educational & Performing Arts Center. The storytellers include Scooter DeMare from Grosse Ile, FOX 2’s Roop Raj, and Dame Wilburn from NPR’s The MOTH We are pleased to welcome Shannon Cason (far right) from NPR’s The Moth, Snap Judgment, and WBEZ to MC this event.The evening begins with a reception from 6-7 p.m., followed by the main storytelling event from 7-8 p.m. and an afterglow with refreshments until 9 p.m. No registration required and this event is free of charge. Stop by this exhibit any time during the month to see these inspiring photographs and learn the stories behind them! Make a difference and donate to the following programs and campaigns. 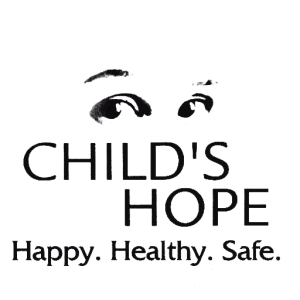 Helping children and families dealing with the pain of sexual or physical abuse, neglect, or trauma. A fund in honor of Budd Lynch & his support. Shop at AmazonSmile and Amazon will make a donation to The Guidance Center. Earn money for The Guidance Center while you shop. It's easy!